There are a few methods you can use to decide how to prioritize home improvement projects. Once you organize your projects, you can work on a plan to get everything accomplished. The first thing you want to do is make a complete list of every home improvement project you want to make. List the smallest thing, such as replacing the light bulbs on porch light fixtures. Include everything! At this point money is not a part of the equation. This is your wish list. The next step is to breakdown your list into a workable summary. You need to divide your list into two separate ones. The list will include improvements that are renovations requiring structural changes, such as raising a ceiling height, floor plan reconfiguration that often includes moving load-bearing walls, a total kitchen makeover or an addition to your home. You may need to break this list into rooms, depending on how interconnected the changes are. For example, adding a room onto one end of the house is more involved than reconfiguring a kitchen. Reconfiguring a kitchen is more involved than a front door and foyer renovation. Which Project Provides Greatest Convenience and Functionality? This is usually kitchen and bathroom renovations. If adding another bedroom and bath best answers this question, then it is your first project to undertake. Which Project Do You Most Desire to Complete? Sometimes it isn't about being practical, but about what you want. For example, a luxury spa bathroom may be your most cherished dream reno, but a more functional use of your reno bucks would be an up-to-date kitchen makeover. You must decide which comes first - luxury or practicality. If you can't choose, opt for the reno that will improve your daily life the most. Which Project Will Give You the Most ROI (Return On Investment)? This is important if you ever intend to sell your home. You don't want to blow money on a home improvement project that you can never recoup. This is a very important question to answer. While a kitchen reno may be more practical, a luxury spa bathroom won't take as long or be as inconvenient. If you don't presently have time in your life to live without access to a kitchen, then your priority is time, not functionality or ROI. If you have plenty of time, then opt for the kitchen renovation first. Can You Live in Chaos? 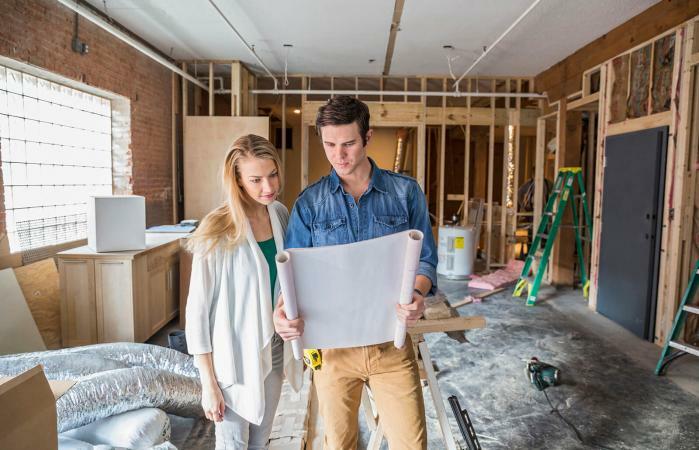 Most people don't have the option to move out of their home while undertaking a reno. A kitchen renovation or adding a room onto the house may be inconvenient, but it can also create chaos in a household. If you have small children, a renovation project while living in the house can create problems you might not have with teenaged children. The usual deciding factor for prioritizing home improvement projects is the budget. If you don't have the money for a reno project, it can't be done and should be placed on the back burner. Complete a cost analysis and comparison of your projects. This process will make it very clear which project(s) you can tackle. If more than one project can be budgeted, opt for the fastest one. This is a psychological choice since it will give you quicker results and inspire you to undertake a longer and more complex project. It also gives you a less expensive opportunity to assess the quality of work by your contractor and sub-contractors before committing larger sums of money. Doors: This group will include doors that need new locks, repairs to handles/doorknobs, squeaky hinges, fresh paint or a new door. Flooring: If you want to replace any of the flooring in your home, refinish the floors or add area rugs, include each room in this grouping. Lighting: This group can include simple things such as replacing light bulbs or light fixtures. Windows: Inspect the windows in your home and list the rooms needing attention, such as caulking, replacing windows, new window treatments, etc. Interior Paint: This group will include any whole room painting projects, touchups and trim work. List by room and what needs to be painted. Exterior Paint: This group will include any outside painting that needs to be done, including lampposts, mailbox, trim or whole-house painting. Furniture: You may want or need new furniture. Add which room and what pieces of furniture you want. Accessories: Items like wall art, paintings, art objects, plants and decorative items will be listed in this category. 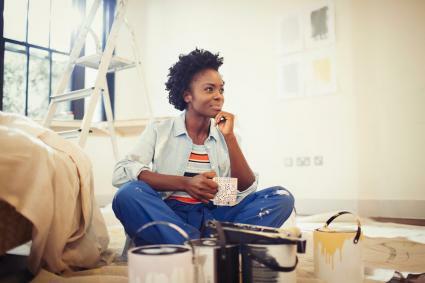 While every homeowner's situation is unique, examining aspects associated with time, function, budget and return on your investment can be helpful in deciding which projects to tackle first. Once you've decided on what to make a priority, you can get to work on creating the home of your dreams.